The holiday season is a busy one for musicians. 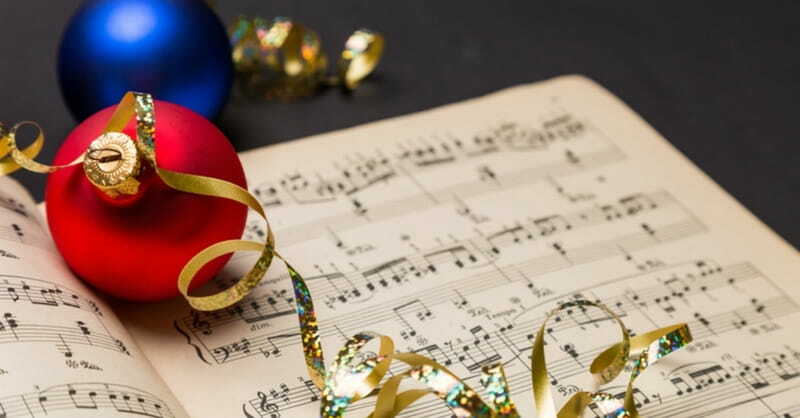 Composers frequently write music for a variety of holidays, but Christmas, in particular, has a centuries-long tradition of both celebratory and also reflective music. Looking at the events going on around the country at this time of year conveys the sheer amount of music being performed. There are multiple performances of Handel’s Messiah, for example, something that never seems to go out of style. Many community choirs present holiday programs with a wide variety of music that celebrates winter in general and Christmas in particular. Churches welcome people for carol services on Christmas Eve, often filling their seats more than at any other time of year. The service of Lessons and Carols from King’s College in England is a standard offering on the radio each year. That traditional service is now 100 years old, having begun in 1918 with the first radio broadcast in 1928. Even for people who do not profess religious leanings, there can be something compelling about hearing familiar music during this season. Common favourite secular pieces, like White Christmas or Have Yourself a Merry Little Christmas or Santa Claus is Coming to Town, for example, are played everywhere. It seems we cannot go into a store after Halloween without hearing such music piped through the sound system. These kinds of songs often celebrate the sentimental side of the season – the beautiful snowfall, the twinkling lights, the families gathered around the fireplace. For many people, those images are far from the truth, but the music persists. There is obviously something that touches the spirit in order for these works to remain popular. Sacred music is linked to the season in its expression of Christian theology. When Ruth Watson Henderson was accompanying the Toronto Children’s Chorus, she played for the annual Christmas concerts. (Those continue to this day, with different pianists.) She wrote many works for these events as well as for the Oriana Singers, hence there is a considerable body of music for treble choirs in her catalogue. Some are carol arrangements; some are original works. Songs of the Nativity comprises a set of original pieces challenging enough for an advanced treble choir, whereas The Barnyard Carols (set 1, 1986 and set 2, 2009) are in unison and intended for children’s choirs. Flute, violin and cello enhance the stories. The Last Straw is an extended work of 30 minutes’ duration that Ruth wrote for treble chorus, tenor soloist, flute, piano and percussion. Written in 1990, it featured Canadian tenor, Ben Heppner, in the original performance with the Toronto Children’s Chorus, who recorded it in 1995. The Christmas fable was written by Canadian playwright Frederick Thury, who created the story to bring meaning to the phrase, “The straw that broke the camel’s back.” Heppner plays the role of the proud camel, Hoshmakaka, who is asked to carry three gifts to Bethlehem for the baby Jesus. He keeps loading things on his back until he finally collapses under the weight of the load when a small child adds one single straw for the baby’s bed. The Christ child heals the camel with a simple touch of his hand, and the children’s choir, in the role of a heavenly choir, sings joyfully in response. Further information is available from the Canadian Music Centre (www.musiccentre.ca).